Products – Cameras – CM-MOLE – Team Research Inc. 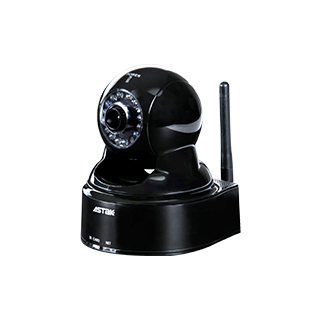 The MOLE is the all-in-one network camera for security and all your social network communities. A simple 3-step setup gets this Wi-Fi camera up and running, so that you can automatically send video clips to YouTube, even if you’re not there. Sophisticated built-in motion detection controls what you record, and will notify you via Twitter or email if the Mole catches something. You can remotely control the pan & tilt angles, and monitor or record video from anywhere in the world.View it from your iPhone or Android phone, or any web browser. Enjoy. You only need a simple three-step setup to get the MOLE up and running. Your video feeds can be viewed from any PC, iPhone, or Android device from anywhere in the world. The Wi-Fi/802.11b/g wireless connection offers a flexible internet connection, and enables easy installation anywhere a WiFi signal is available. The MOLE features state-of-the-art technology to provide unparalleled surveillance. The sophisticated, built-in motion detection controls what you record, and if the Mole catches something, it will notify you via email with an image attachment. The MOLE supports simultaneous browsing by up to five users, and you can also easily pan your camera up to 270 degrees, and tilt up to 125 degrees, remotely.